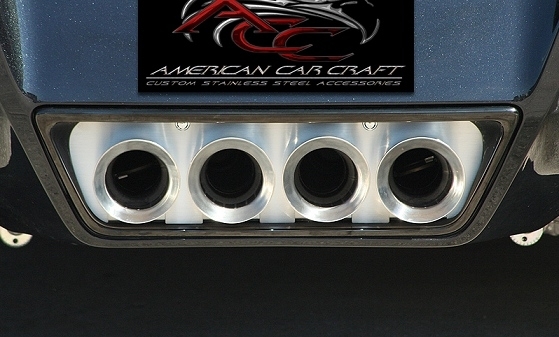 Dress up your 2014+ C7 Corvette Stingray with our Stainless Steel, C7 Exhaust Filler Panel for cars without NPP Dual-Mode exhaust system. These trim pieces are designed to fit all 2014+ Corvettes around the stock exhaust tips and add a clean stylish look to your Corvette exterior. Our C7 Exhaust plates are available a few different ways: solid stainless steel, perforated stainless steel and also with or without Red LED lights. Please select your style below. Please note these fit C7 Corvettes without NPP Exhaust only and are custom made to order, please allow 5-10 business days for us to ship your new exhaust filler panel.